At minus-10 Celsius, the bug just hunkers down into deep dormancy. At minus-20, it can hang in indefinitely until a thaw kisses it back to life. Only when temps drop below minus-34 will the pernicious pests give up – and die. That fact offers some hope that nature itself could bite back to control the ash borer in places such as frigid Winnipeg, which recently reported its discovery of the invasive species. 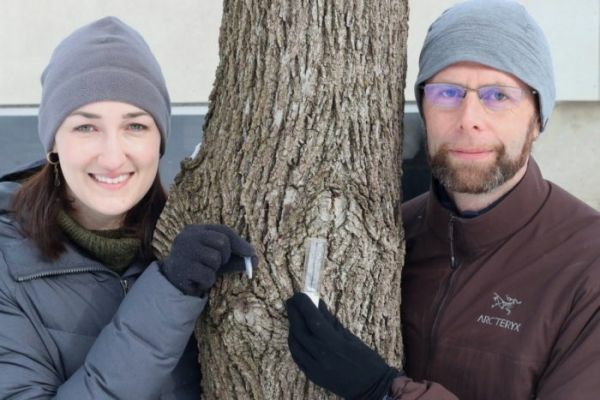 As large swaths of Canada and the U.S. Midwest sink into a deep freeze, a Western research team is testing emerald ash borers’ temperature tolerance looking to provide clues as to what may eventually kill the invasive species. Continue reading at Western University.